Nucalm Side effects North Carolina - Are There Any Side Effects? Fear of the dentist can keep patients from seeking dental care. 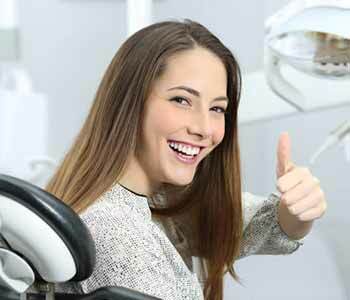 Different forms of sedation are available to help ease anxiety about dental treatments. Now, NuCalm is available for a natural form of relaxation dentistry. Located in Yadkinville, North Carolina, Dr. William Virtue of Virtue Dental Care offers NuCalm to patients with dental fears. The lack of side effects makes it a popular option. NuCalm is a form of relaxation dentistry. Rather than using drugs to reduce anxieties, NuCalm uses the brain’s internal mechanisms to create a feeling of serenity. It uses supplements, Cranial Electrotherapy Stimulation, calming music, and eye masks so the brain can transition into a feeling of relaxation. The supplements keep you from becoming anxious while the other methods help you relax. This four-pronged approach allows patients to slip into the deep relaxation found in the first phase of sleep. Like sedation, NuCalm helps patients undergo dental procedures without anxieties getting in the way. There are benefits to using NuCalm. Feelings of anxiety subside and patients are not able to create reactions of fear. Dr. Virtue is SMART-certified and is a fellow of the International Academy of Oral Medicine and Toxicology (IAOMT). In the past, he acted as president and secretary of the IAOMT. Patient health and safety are priorities. NuCalm is a safe option for patients. Don’t let your anxiety keep you from having a beautiful, healthy smile. Ask about NuCalm for dental treatments. At Virtue Dental Care we offer general, cosmetic, and restorative dentistry services. Call today to schedule an appointment with Dr. Virtue –(336) 679-2034.